Since 2011, Celltex has helped countless clients improve their quality of life by giving them access to the healing power of their own stem cells. Learn how adult stem cell therapy is the future of regenerative medicine. As Vice President of Marketing, John Hunewill spearheads strategic direction and drives marketing growth for Celltex Therapeutics. Hunewill received a B.S. in biology from Syracuse University and also holds an M.S. in molecular biology from New York University. His background in Life Sciences is instrumental to his expert knowledge and strategic vision for the commercial stem cell market and Celltex Therapeutics in the U.S. and beyond. He previously worked at major sporting goods retailer, where he was responsible for leading brand strategy with a focus on brand and campaign management, creative development and media planning. Hunewill began his career with the National Football League, where he led retail partnerships and developed marketing and merchandising strategies to increase revenue for the League. 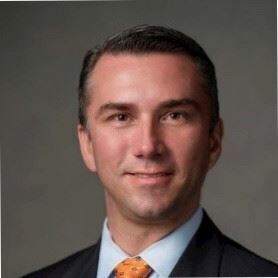 He currently serves as a Lecturer for the University of Houston, where he teaches a graduate course in global retailing that focuses on educating future business leaders in all aspects of retail management, from merchandise planning to marketing and operations. Hunewill also serves as a board member of the YMCA of Katy.